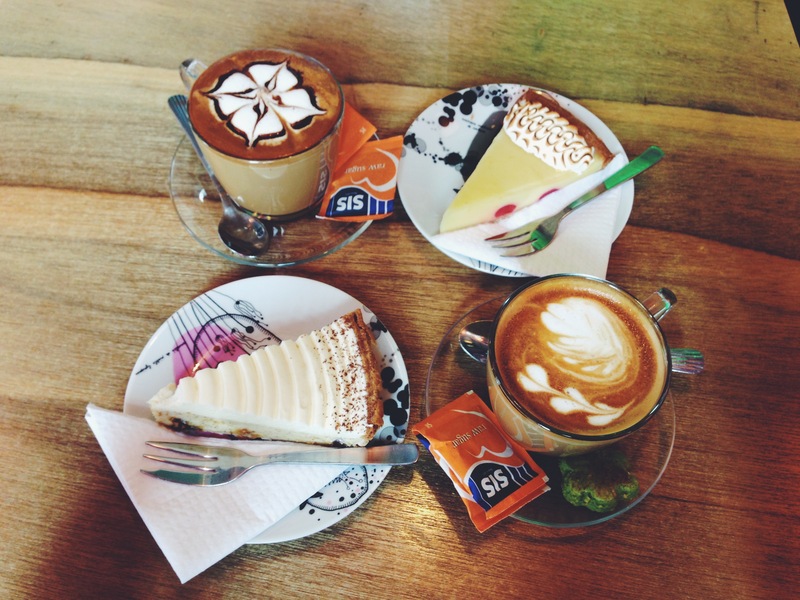 It was a Monday full of promise – one that would see us from one cafe to another. We (Kit and Shereen) started with a car full of petrol and a wad full of (electronic) cash. And off we went. If you’re like us, and you love cafes – then this entry (and the entries to come) will suit you just fine. Truth be told, this cafe was our accidental find. We were actually on our way to have lunch at Hajjah Maimunah and chanced upon this cafe. It looked too cute and we just had to stop by. Given it’s vicinity, we thought that perhaps the food might be halal too so we went up to ask. We were told that the food was halal and that we could check the MUIS Website to verify that their food supplier was halal certified. But, we decided against it and went else where first for lunch then came back for coffee. 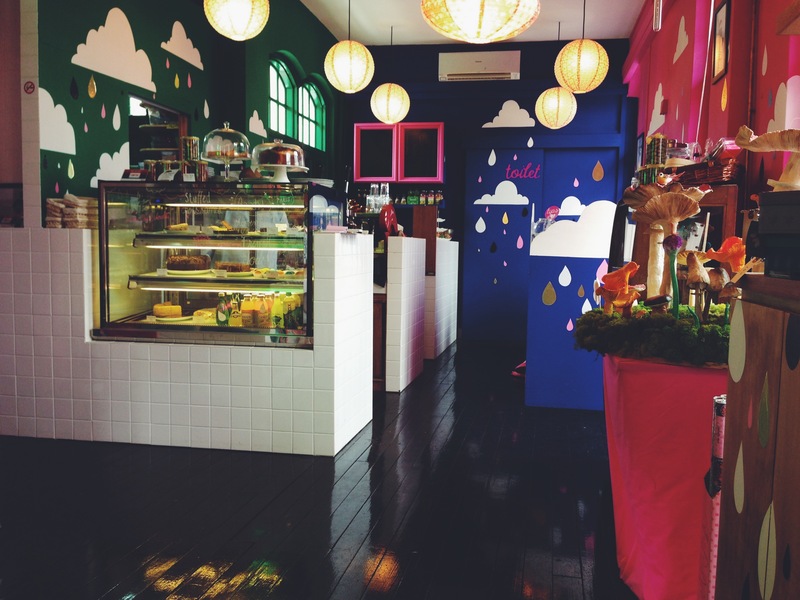 We were definitely taken by their beautiful decor.. the colours, the stationery… all the little knick knacks on sale. 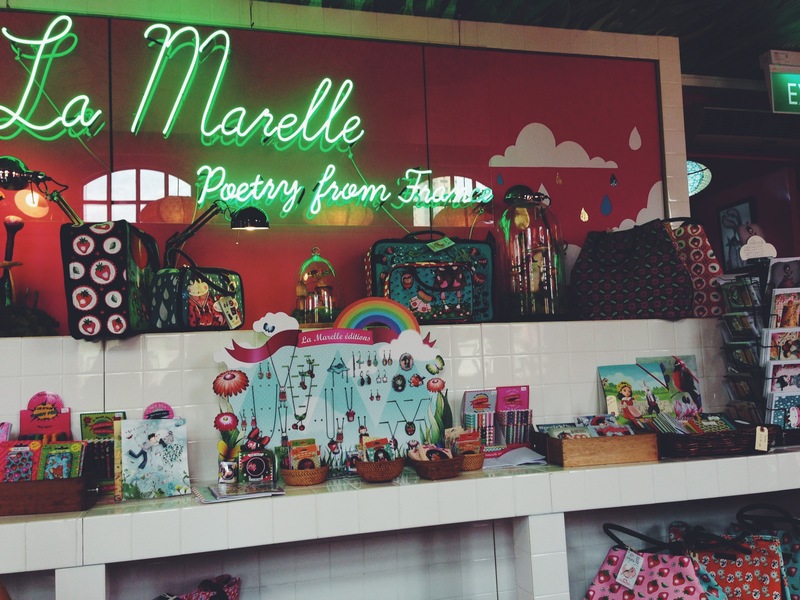 (Yesterday, while walking about takashimaya, I found out that the cafe is based on the line of products from the brand La Marelle). It was very refreshing – tangy and sour but it really balanced out the crust. Plus, it really complemented the strong coffee we had! I absolutely loved my banana brittle pie. I thought it was light yet still flavoursome. I loved how it wasn’t too heavy or artificially flavored either. There was also caramelised nuts too! The crust wasn’t too hard, and it was easy enough to break with a fork. If you’ve had your fair share of pies, you will know that some crusts can be quite doughy, but not this. * We were told by their service staff that their pies are from Windowsill Pies. Coffee drinkers beware – if you like your coffee strong, then this will hit all the right spots. But, if you’re not for strong blends then this might not be the best option for you. We loved the strong coffee hit I got from my latte which was really well brewed and still piping hot (With beautiful latte art) by the time it reached us. Kit really enjoyed her cappuccino which was very robust and had a good proportion of milk to espresso shots. Plus, we also got a little green tea biscuit along wth it – so what’s there not to like!? How to get there: Bugis MRT and cut across raffles hospital and walk through haji lane across arab street to 25A Baghdad Street. 2nd Floor. Halal Status: We confirmed via FB message that they buy their food (I’m assuming their mains) from a halal caterer: AM Chef (http://www.amchef.com.sg/Contact.htm) . Our verdict? ♡ ♡ ♡ ♡ / ♡ ♡ ♡ ♡ ♡ (4 out of 5 hearts). We’ll be back for more, definitely!